Start your two-step cleansing regimen with a pre-cleanse to remove cosmetics and pollution. Wipe away your makeup in one clean sweep with Celavive Conditioning Makeup Remover. This water-based formula gently removes even the most stubborn waterproof and long-wear makeup from your face, lips, and eyes. Celavive Conditioning Makeup Remover is the pre-cleanse in your two-step cleansing regimen. It pulls cosmetics and other impurities from the pores and prepares your skin’s surface for deeper cleansing. The nourishing ingredients will leave your skin feeling soft and hydrated, without any oily or greasy residue. Celavive Conditioning Makeup Remover is dermatologically tested and non-comedogenic, which means it will not clog pores. This formula made without parabens is safe for all skin types. A meticulous cleansing routine is essential in any skincare regimen. 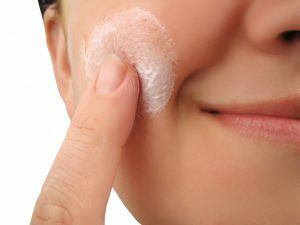 When skin isn’t clean, pores can get clogged and the skin can become dry and irritated. Additionally, dirty skin will interfere with the action of other skincare products. Dermatologists recommend that you wash your face twice a day. Once during your morning routine, before makeup is applied. Then again in the evening to remove makeup or impurities before heading to bed. A two-step cleansing process is best. 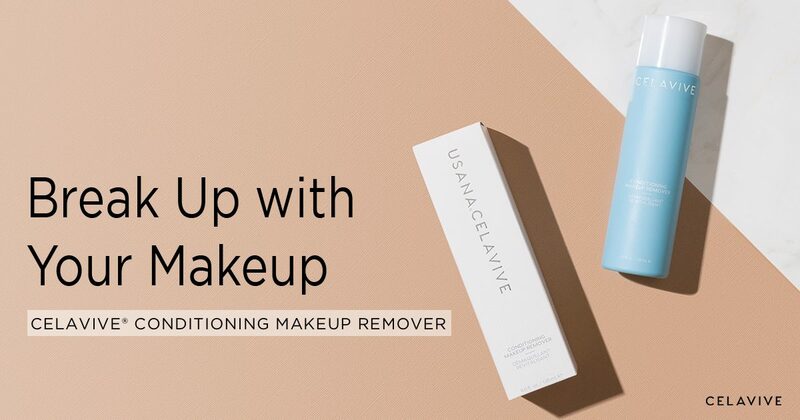 Start with Celavive Conditioning Makeup Remover. A pre-cleanse before washing your face can make a world of difference. This step will remove makeup, excess oil, dead skin, sunscreen, and grime that can accumulate, especially in dusty or polluted environments. Next, reach for a cleanser that is suitable for your skin type. Try Celavive Creamy Foam Cleanser if you have oily or combination skin. Choose Celavive Gentle Milk Cleanser if your skin is dry or sensitive. This second cleansing step will ensure everything has been removed. It will also prepare the skin to better absorb serums and moisturizing products. Makeup can form a barrier on the skin. It can trap dirt, grime, bacteria, and pollutants. Makeup can also be very difficult to remove. Oil- and water-based cosmetics cannot be removed with water alone. 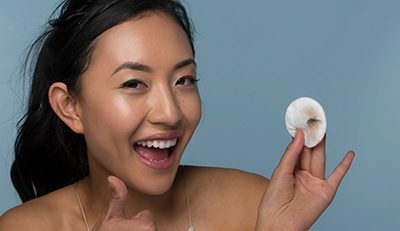 A makeup remover is a great first step. You want to find a makeup remover that is effective yet gentle to help preserve the healthy appearance of your skin. Traditional makeup removers can contain harsh chemicals. 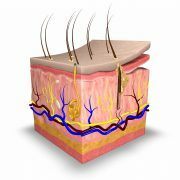 These chemicals wipe away cosmetics, but they can also strip the skin, leaving it feeling dry and irritated. 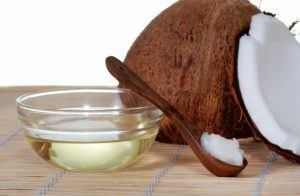 Glyceryl cocoate is derived from coconut oil. It acts as an emollient that softens skin and protects your natural lipid layer as it dissolves oil- and water-based cosmetics. It helps cosmetics rinse cleanly off the skin without causing dryness. PEG-15 glyceryl isostearate is a mild cleansing agent that is mixed with conditioning fatty acids. To help ensure the skin stays soft and moist, Celavive Conditioning Makeup Remover includes three natural sugars. These sugars condition, hydrate, and moisturize. Together, these ingredients help reveal a beautiful, healthy complexion. Two of the sugars found in Conditioning Makeup Remover, mannitol and xylitol, work together for best effectiveness in the formula. They have been shown to improve skin hydration by trapping moisture close to the skin. This helps smooth out the rough look caused by dryness. This layer of moisture also helps keep out environmental elements that can further dry the skin. Squalane is another important sugar for skin health found in Celavive Conditioning Makeup Remover. Squalene is a natural component of human skin sebum (oil). But its production dramatically decreases in your 30s and can lead to noticeable dryness. Topical application of a form derived from sugar can help augment the loss that occurs with age. Sugar squalane is a safe and effective natural alternative to petroleum-based paraffin and silicone. It is non-comedogenic (does not clog pores). Squalane acts as a moisturizing ingredient and source of replenishing fatty acids. By mimicking your natural body oils, it helps moisturize and soften skin. It will leave your skin feeling silky, supple, and smooth—not oily or greasy. 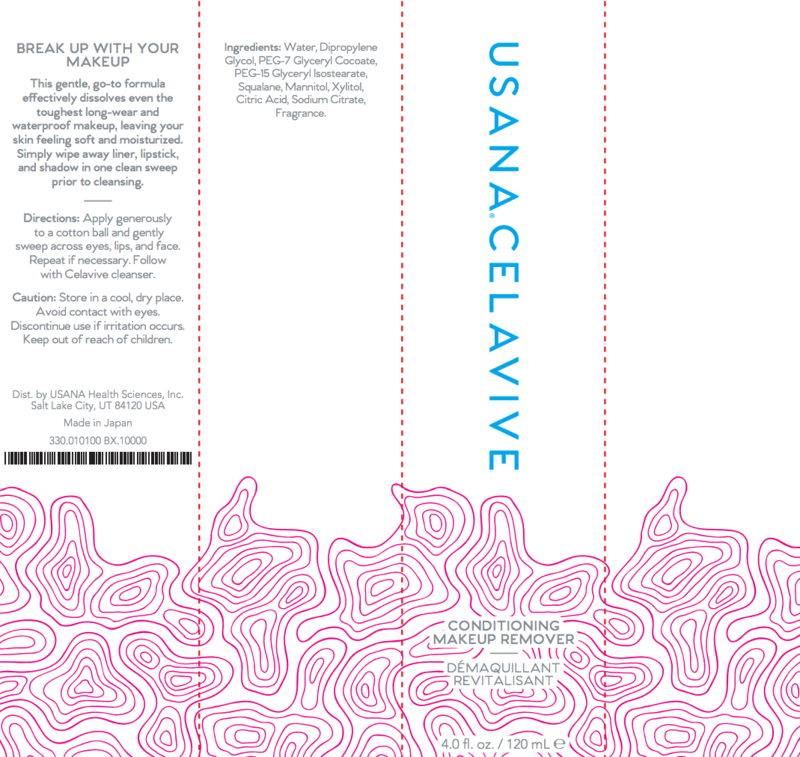 With the chemical barriers of makeup removed, you skin is ready to best experience the rest of the Celavive line. What is the next step to a more youthful appearance? Try the Celavive cleanser formulated for your skin type. Directions: Apply generously to a cotton ball and gently sweep across eyes, lips, and face. Repeat if necessary. Follow with Celavive cleanser. Caution: Store in a cool, dry place. Avoid contact with eyes. Discontinue use if irritation occurs. Get the facts about five common skincare myths. Learn how to avoid these common mistakes and achieve healthy-looking skin.